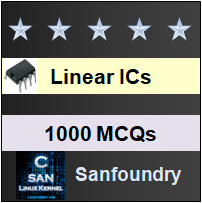 This set of Linear Integrated Circuit Multiple Choice Questions & Answers (MCQs) focuses on “Ideal Operational Amplifier”. Explanation: The input signal is given to the inverting input terminal. 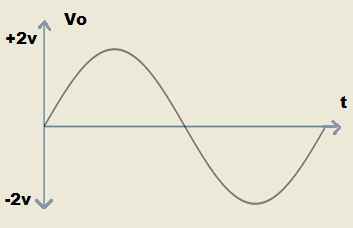 Therefore, the output Vo is 180o out of phase with input signal V2. 2. 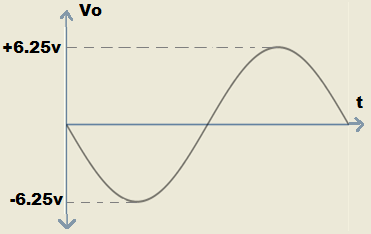 Which of the following electrical characteristics is not exhibited by an ideal op-amp? Explanation: An ideal op-amp exhibits zero output resistance so that output can drive an infinite number of other devices. Explanation: An ideal op-amp has infinite bandwidth. 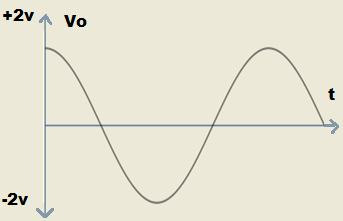 Therefore, any frequency signal from 0 to ∞ Hz can be amplified without attenuation. 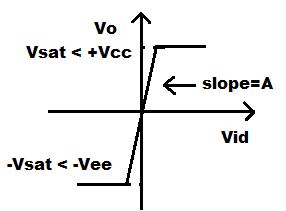 Explanation: As the voltage gain is infinite, the voltage between the inverting and non-inverting terminal (i.e. differential input voltage) is essentially zero for finite output voltage. 5. Determine the output voltage from the following circuit diagram? 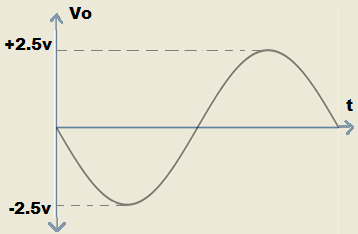 Explanation: In an ideal op-amp when the inverting terminal is zero. The output will be in-phase with the input signal. Explanation: The output voltage of an ideal op-amp is the product of gain and algebraic difference between the two input voltages. 7. How will be the output voltage obtained for an ideal op-amp? 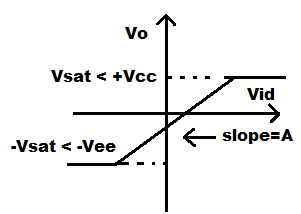 Explanation: Op-amp amplifies the difference between two input voltages and the polarity of the output voltage depends on the polarity of the difference voltage. 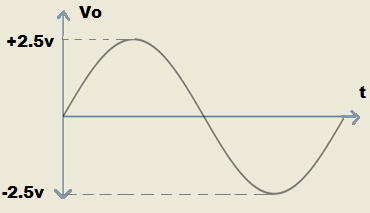 Explanation: Although the output is 180o out of phase with input signal, the gain of the amplifier is not given. 9. 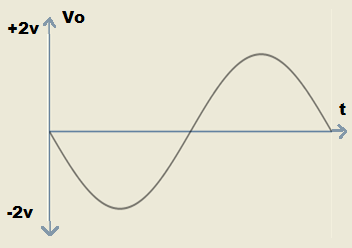 Which is not the ideal characteristic of an op-amp? Explanation: Input resistance is infinite so almost any signal source can drive it and there is no loading of the preceding stage. 10. 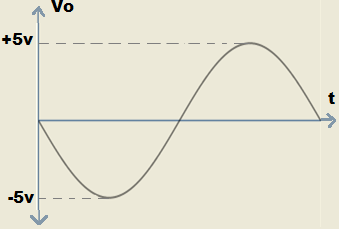 Find the ideal voltage transfer curve of a normal op-amp. 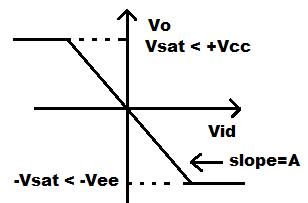 Explanation: The ideal voltage transfer curve would be almost vertical because of the very large value of gain. 12. 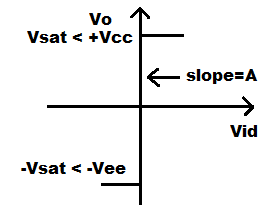 Which factor determine the output voltage of an op-amp? Explanation: Output voltage is proportional to input voltage only until it reaches the saturation voltage. The output cannot exceed the positive and negative saturation voltage. These saturation voltages are specified by an output voltage swing rating of the op-amp for given values of supply voltage.